Pictures of last years "Intro Clinics" are above. Register here for the Ranger Wrestling 2018-19 Season Nov-Mar. *First week of practice starts Nov. 12th. Click here for practice schedule. *Parents Meeting is from 6:30-8:00 at Loudoun County High School in room 168. Enter the Athletic side of building and follow the Ranger signs. Who will be the Next Ranger Wrestler to be World Champ? 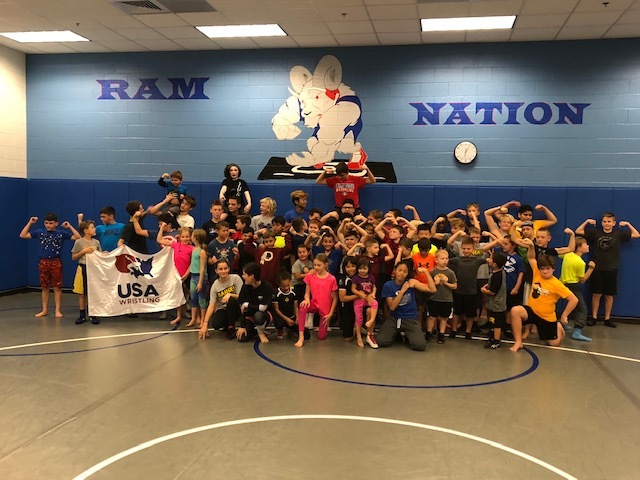 We are a 501 3 c organization that promotes youth wrestling throughout Leesburg, Loudoun County, and Virginia. We support wrestlers from Beginners to Elite; Elementary to High School. The youth Rangers are apart of the MDWL League. We also wrestling locally in TOP events.